Kent, WA, Aug. 14, 2009 — A helicopter hovers over the scene of a breaking news story, capturing the sights and sounds of everything from car chases to hostage negotiations for millions of television viewers. And although it happens routinely in major cities worldwide, the technology that enables Electronic News Gathering (ENG) is anything but routine. Unique experience, technical expertise, certified equipment, and advanced integration capabilities are required to equip a helicopter for this highly specialized mission, and Geneva Aviation Inc., a DART Helicopter Services company, has emerged as the premier provider of ENG design, integration and installation services. No other company offers a single source for fully STC-approved audio, video and microwave systems, with the support services to keep it flying. Three recent installations, two for Brazil’s TV Globo and one for TV Record, were exceptional in their complexity and capability, according to Geneva Aviation President Steve Joseph. “The helicopters are designed to function as flying news studios, with the ability to record, edit, and mix audio and video footage, and then transmit news stories to the broadcast station for distribution,” Joseph said, adding that the broadcast industry demands only the highest quality for the audio and video that is produced. Geneva’s audio and video systems are designed specifically to meet and exceed these standards, including the use of high definition cameras that deliver the best possible clarity. Since technology is always changing, customers want to keep up with the latest advancements. Geneva ENG systems are modular in design, which makes it easier for operators to upgrade components and remain competitive. Modularity also facilitates ease of maintenance and simplifies troubleshooting. Creating a news helicopter from a basic airframe requires many hours of planning and engineering before one part is installed. 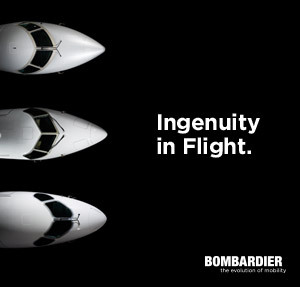 Safety is always a primary focus for each integration project, and all of Geneva’s STC’d products are designed specifically to safely integrate ENG electronics devices into the airframe. Significantly, all of the equipment that was used in customizing the three Brazilian AS350 helicopters has been certified by the Brazil’s National Civil Aviation Agency (ANAC), clearing the way for additional installations in that nation’s competitive television markets. The same ENG equipment recently earned Transport Canada approval, and European Aviation Safety Agency (EASA) certification is imminent. · Broadcast quality audio system capable of handling up to 20 radios or other audio sources. · Broadcast quality video system capable of handling up to 16 cameras, monitors, or other video sources. 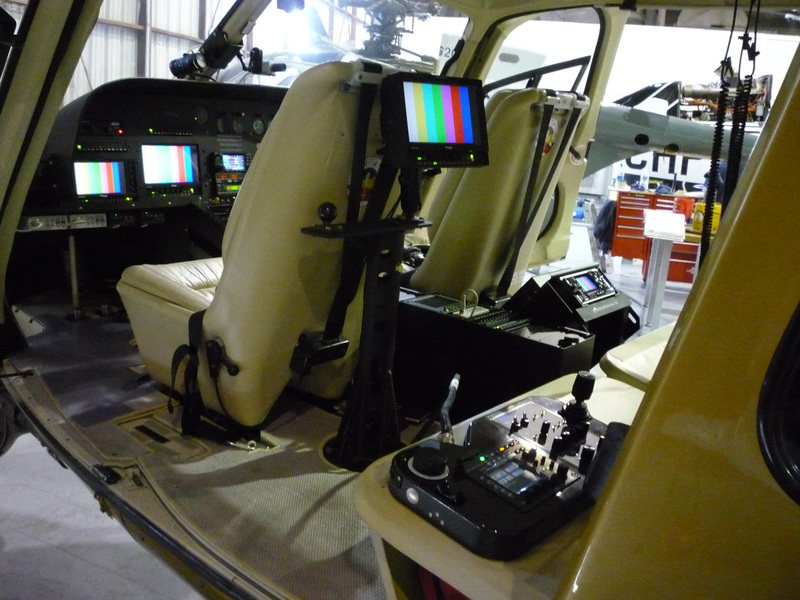 · Custom instrument panel, avionics console, audio / video control panels, monitors, talent camera (see photo, attached). · Rear communications console, monitor mount, monitors and high definition camera controller (see photo, attached). · Cineflex high definition camera, AirFilm camera mount, and Troll microwave antenna, (see attached photo). · Modular equipment rack with audio router box and video system interface boxes, and camera control box (see photo, attached). · Microwave radio rack with MRC/LINK radios (see attached photo). Geneva Aviation’s advanced engineering capabilities, integration and certification experience, and robust understanding of new technologies and equipment ensure that operators have the world’s most reliable, user-friendly, and state-of-the art electronic news gathering platforms available where and when they are needed. In addition, Geneva provides a unique combination of certified equipment and on-site installation technical support. Technicians are available to support ENG integration work at any location worldwide and technical support is available around the clock for assistance. Also, a certified repair station provides expert and timely equipment repairs. “This is a world-class, total ENG solution,” Joseph said. And that’s good news for broadcasters everywhere.